Before beginning this campaign, I wondered how best to support parents and carers as they help their children to write Red Letters. 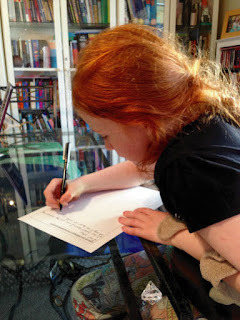 I decided to use my darling 9-year old daughter as a guinea-pig and document her writing process using pictures and her planning and letter as an example. Please don’t feel that your ‘letter’ has to look anything like Sophia’s. Your letter could in fact be a movie, infomercial, Minecraft narrative, poem, play or piece of artwork with words written on it but Sophia is a ‘words’ girl and it was her choice to write a traditional letter to the editor of the Sydney Morning Herald. Using writing plan 1, Sophia wrote down her ideas. I told her she could write or draw pictures but she chose to write. Your child could also dictate their ideas using a scribe, voice recognition software, the microphone facility in Notes on an iPad or a dictaphone. 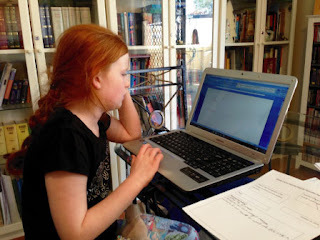 Sophia chose to use Word on the laptop to write her letter. 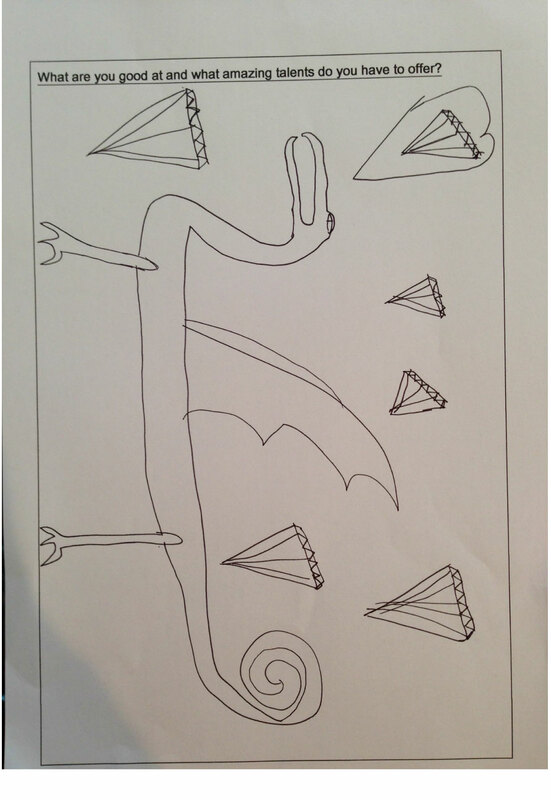 Again, I suggested many assistive technology options but she chose this as her favourite medium. Do encourage your child to use voice to text apps and software, video, spelling aids and all manner of assistive technology that works for them. Also, encourage those who would like to, to handwrite, as handwritten letters are very powerful images. My daughter just prefers Word over all other options and, as I am also her MSL teacher, I tried hard to take a step back so she could ‘own’ her letter. 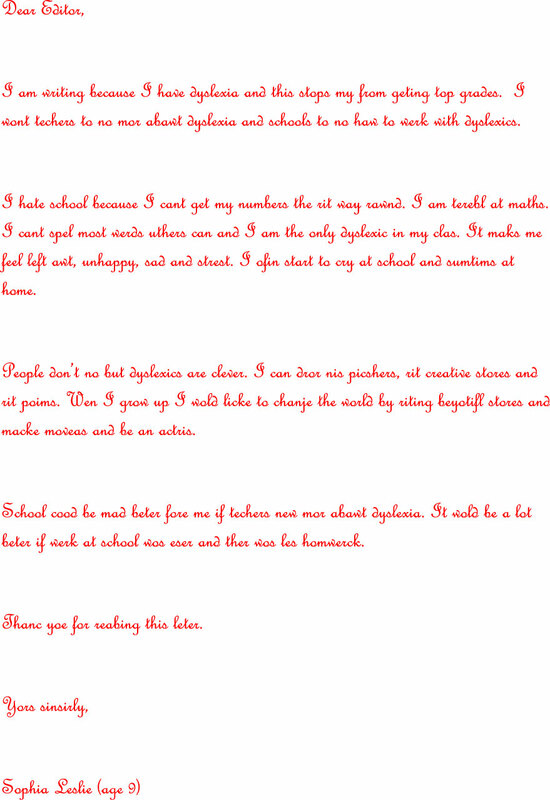 Sophia wrote the letter using red and a curly font of her choice. She did it pretty quickly and painlessly from her notes (with the promise of changing the world for dyslexic learners and a ‘slap up’ dinner at Maccas as motivation!). 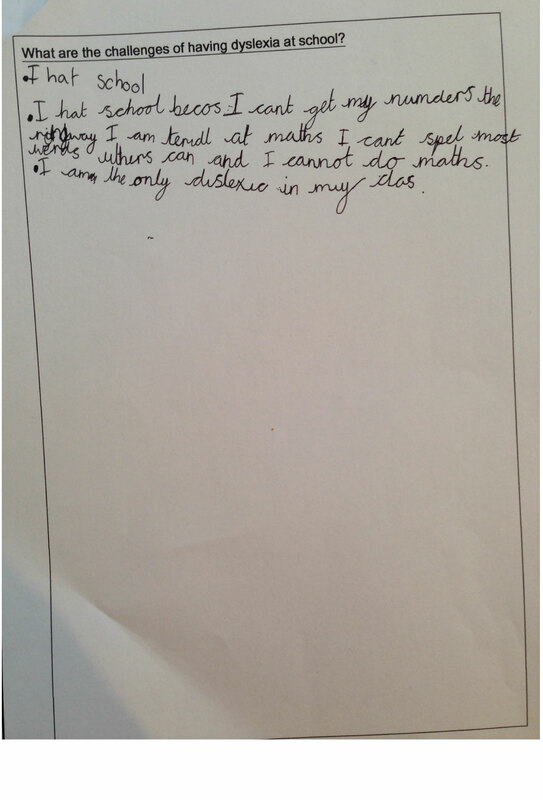 I am writing because I have dyslexia and this stops my from geting top grades. I wont techers to no mor abawt dyslexia and schools to no haw to werk with dyslexics. I hate school because I cant get my numbers the rit way rawnd. I am terebl at maths. I cant spel most werds uthers can and I am the only dyslexic in my clas. It maks me feel left awt, unhappy, sad and strest. I ofin start to cry at school and sumtims at home. People don’t no but dyslexics are clever. I can dror nis picshers, rit creative stores and rit poims. Wen I grow up I wold licke to chanje the world by riting beyotifl stores and macke moveas and be an actris. School cood be mad beter fore me if techers new mor abawt dyslexia. 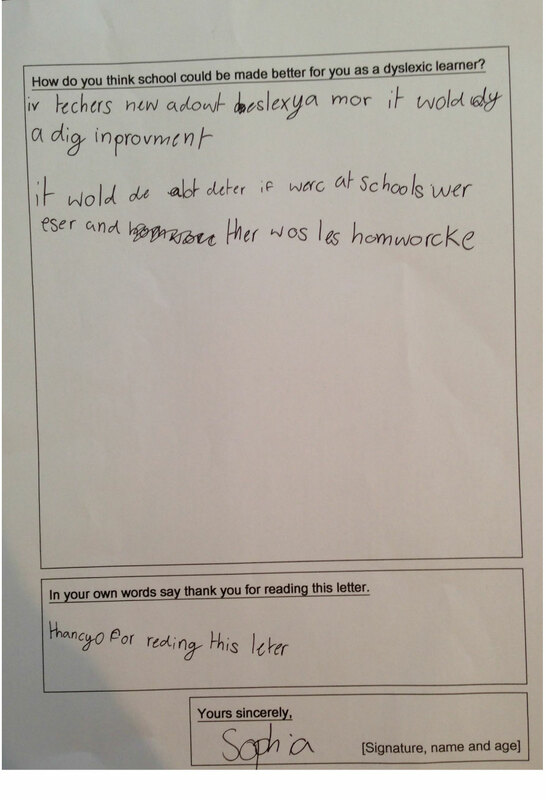 It wold be a lot beter if werk at school wos eser and ther wos les homwerck. Thanc yoe for reabing this leter. If your child isn’t happy, take lots of breaks, scribe for them or get them to draw or act rather than write. This shouldn’t feel like extra homework and should be their way of making the world hear a creative dyslexic mind’s cry for help. Finally, we saved the Red Letter file as a PDF and have it ready to send to the Sydney Morning Herald on the 15th of October. Editing advice: I am a specialist MSL teacher and I had to sit on one hand and drink tea with the other whilst my daughter wrote. 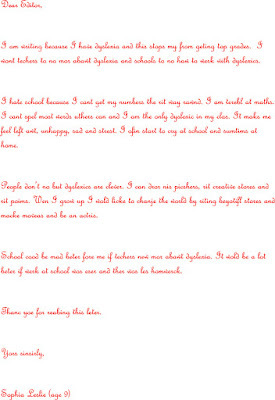 I found it very hard to remain an observer and not to remind her of spelling rules we have covered but I felt it important that this letter was Sophia’s letter. I gently asked her at the end whether she felt she needed to proofread it but she was happy not to - hehehe! Part of my initial idea for the Red Letters was that I really wanted the general public, education decision-makers, politicians and the media to ‘see’ dyslexia in its raw form, rather than just abstract statistics. Therefore, the spelling is very much part of the power and beauty of this letter in my mind. You are welcome to think differently and you might have a child who wants to edit much more than my angel and that is totally fine as well. Good luck in writing your Red Letter and please feel free to comment below or email us if I can help in any way. 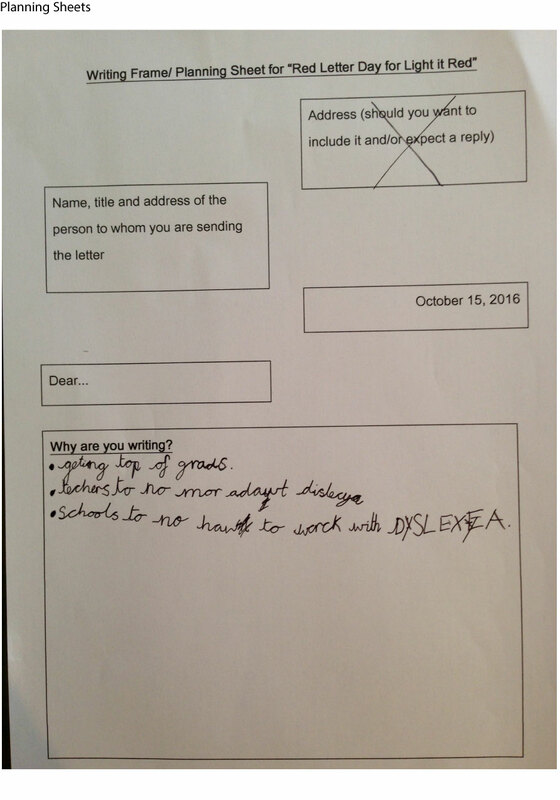 This is a wonderful letter and I also hope schools and teachers know more about dyslexia. Thank you so much, Zoe! Will you be writing a Red Letter?